This are the Images that we have used in our Social Networking Project. This is another logo for our heart beat project.Its a full red heart with some beats in it.It is cool and can be used on the home page of this project. This Image is an notification icon which can be used to show the notifications or any kind of alerts that a user is suppose to see. It is a green online icon.It is displayed when a user is online.It is Indication that a particular user is online.Online chatting or one to one chatting is not yet implemented in this project so far.it will be implemented in our next project of online chatting which we will be developing very sooooon. This is the messenger icon of facebook.The same messenger icon that we all have on our facebook account. 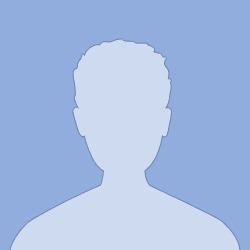 This is the Friend Request icon of facebook.The same Friend Request icon that we all have on our facebook account. This is the Globe or Notification icon of facebook.The same Globe or Notification icon that we all have on our facebook account. Using a social network allows you to connect with or "friend" those who already make use of your services. Convince current customers to join your network by posting a flier about it at your place of business. Hi great work ! can i have the code? hello sir/mam Heart beats social networking site demo is very good but dont take admin folder therefore i m not understand how to manage apllication like user registation,new user check, view details, updates, send mail and advertisement so more. plz explain to admin mange application.